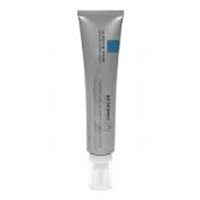 Clinically proven efficacy with 0.1% pure retinol, the highest concentration  with virtually no irritation. •Reduces upper lip, forehead and crow's feet wrinkles in 8 weeks. •Skin is firmer, smoother and more even-toned. •Tolerance tested under dermatological control. •30% reduction in upper lip wrinkles. •24% reduction in forehead wrinkles. •22% reduction in crow's feet eye wrinkles.